This was on a venue that we had never been on! Our click through ratings were 6X over the national average. BECOME A HOST OR CO-HOST FIND OUT MORE! The majority of Americans (57 percent) say that technological change over the last ten years has had a positive impact on society; while only 15 percent say that it has had a negative impact. 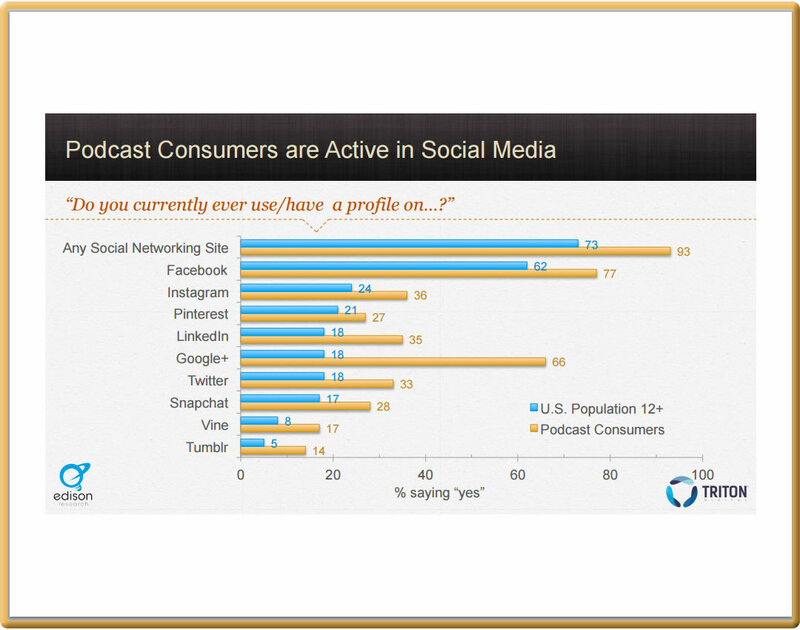 Leading the pack are the many ways technology has enabled people all over the world to tune in and turn on to TransformationRadio.fm and Podcasting has ARRIVED! 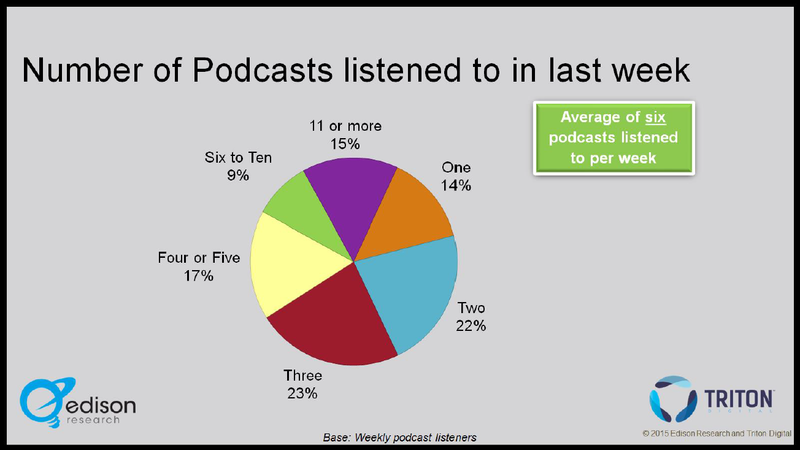 As a daily listener of podcasts, you listen to more podcast audio than any other form of audio, as the graph illustrates. 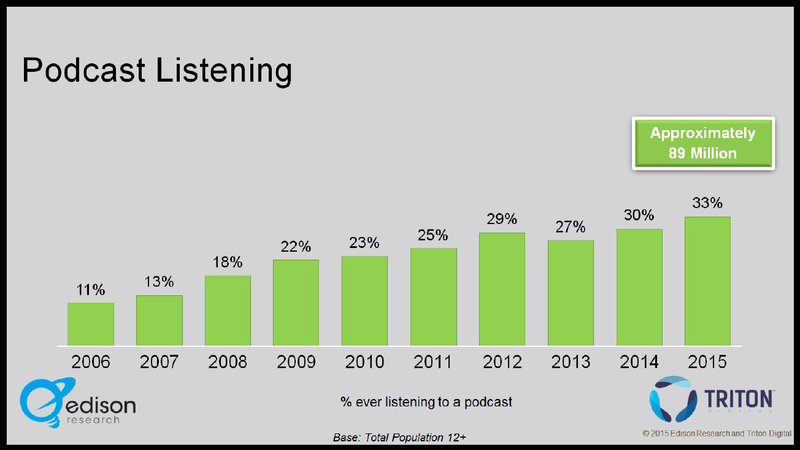 For the first time, we can report that podcast listeners are now listening to more podcast audio than any other form of audio. 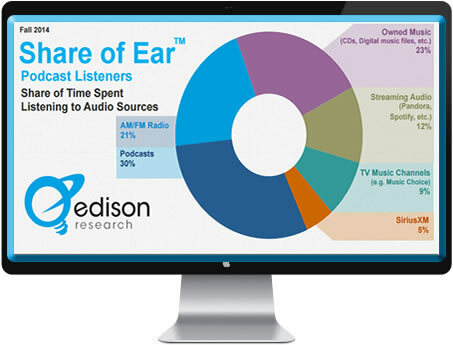 According to Edison Research, in the Spring study, podcasts were a close second to AM/FM radio, but today we see AM/FM fall to third amongst podcast listeners. This is up by 18%! 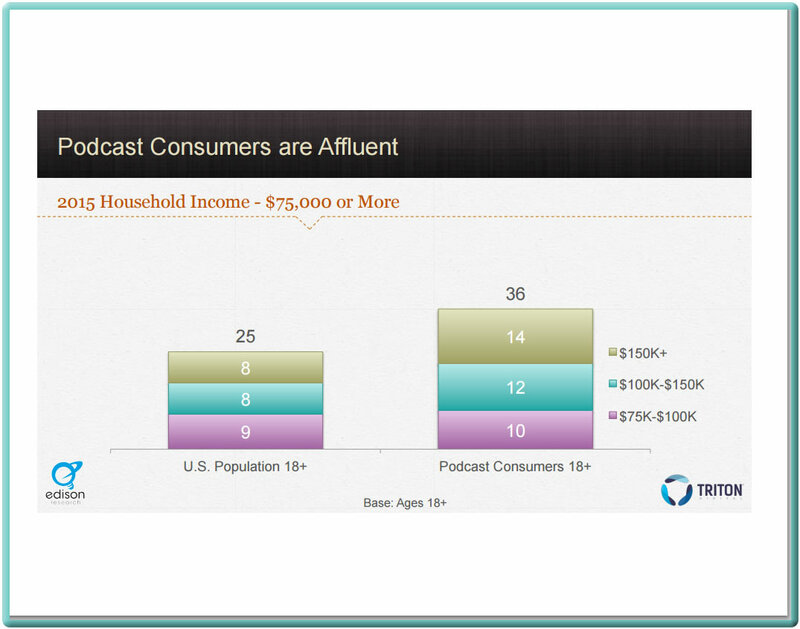 Much of it is simply new listening, as podcast consumers continue to bring their podcasts with them into environments and settings where they previously might not have consumed audio. 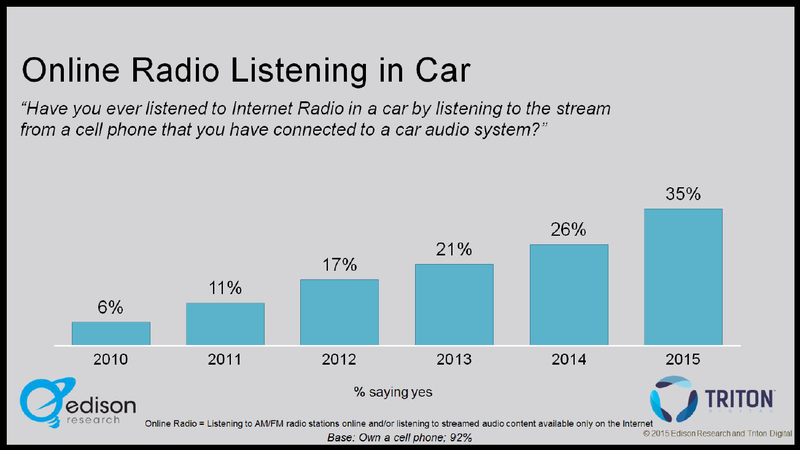 There is another implication here, however, in the shift from AM/FM Radio to podcasts with these listeners: the importance of Talk programming and this may broaden the appeal of talk audio programming in general. 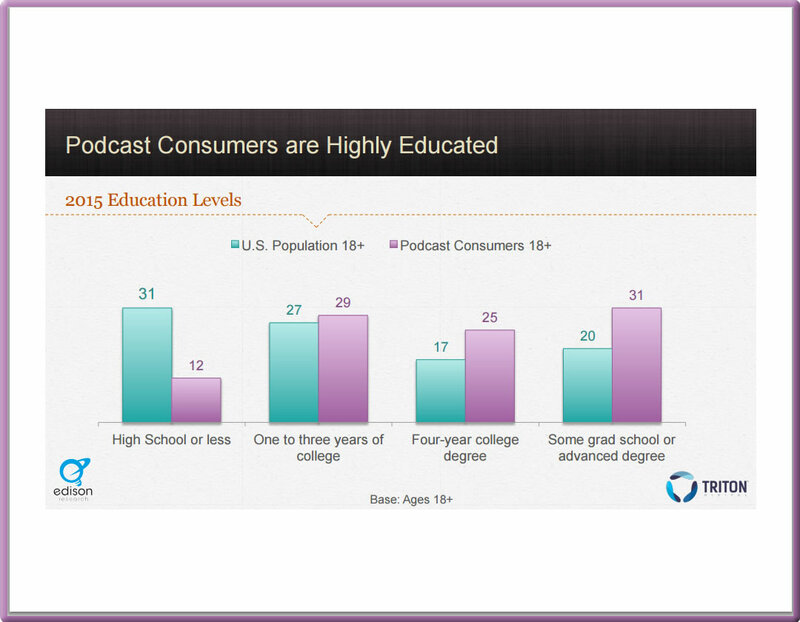 Podcasting is a content play in its purest form–and as more and more Americans discover the medium, AND discover content that is compelling to them, we are going to continue to see interesting migrations in listening habits amongst these Americans. Are you Ready to Plug In? In the 2015 edition of the report, which is drawn from the Infinite Dial series, we see strong reinforcement of mobile behavior and social networking. While mom continues to power on with her smartphone and tablet, she is consuming media in ways she hasn’t before, thus creating new media patterns and ramping up her already high usage of the Internet. The data shows that moms are now averaging more than three hours per day online, with 30% logging in four hours or more. Rewind back to 2000 and moms were not even spending thirty minutes with the Internet. 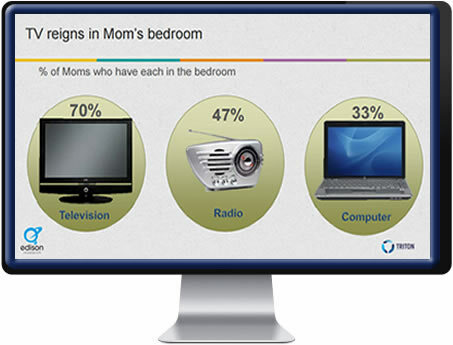 The draw of moms to the Internet is clear when we asked about which medium is the most essential. 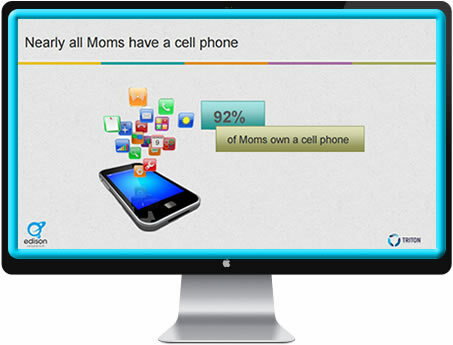 Moms spoke and they spoke loudly, with 59% stating the Internet. Television is a very distant runner up, being said by 30% of moms. 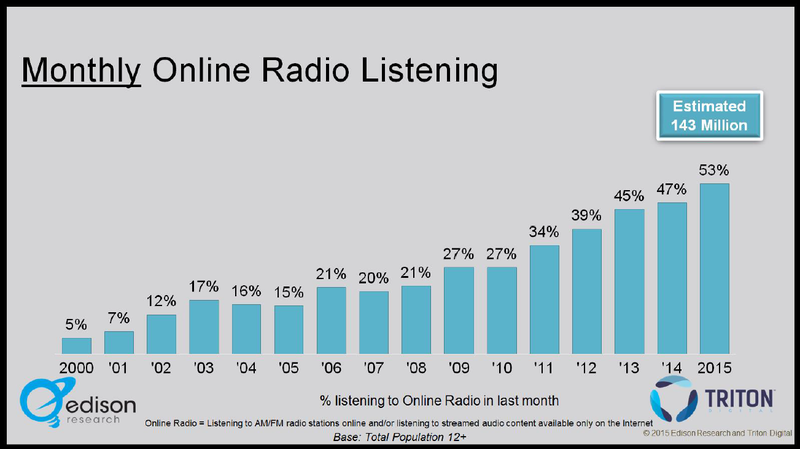 Tracked to 2010, the Internet shows a clear upward trend, the only medium to show an increase. In 2015 the Internet has become the one place for a busy mom to go, she can get TV shows, music and news so she doesn’t need these other media as much anymore. She now has the Internet as her one stop media shop. One of the biggest spin offs from moms being mobile is the ability to use more media simultaneously or while doing other activities. 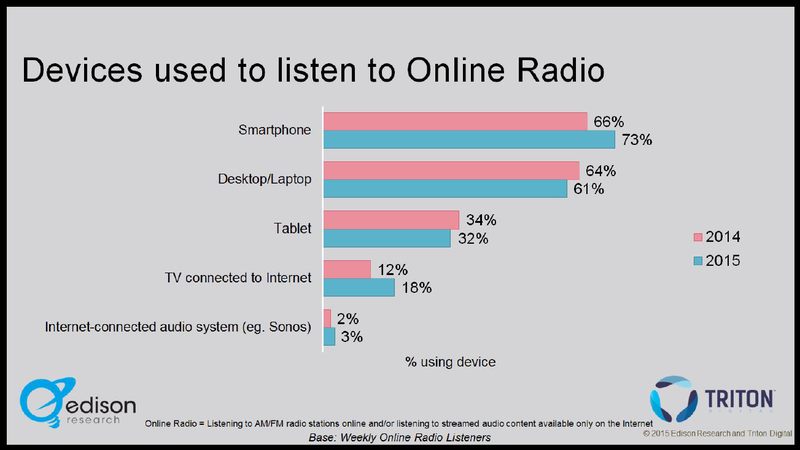 Online radio is one example of how moms are taking traditional media and transferring it to their mobile lifestyle. 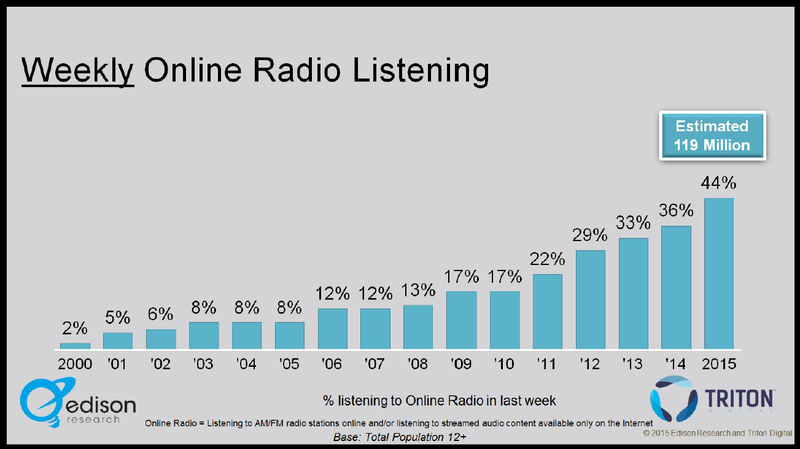 In this year’s study, 78% of moms have ever listened to online radio and almost half, 48% have cited listening in the last week. 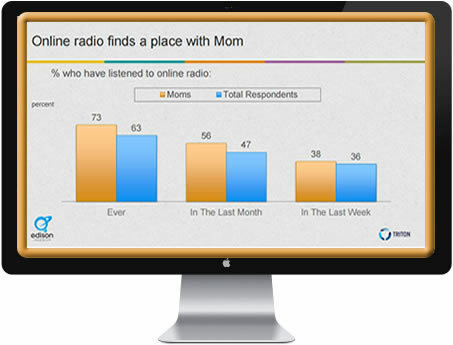 Compared to the total respondents 12 , moms are again showing more affection for new media. Why You? Why Us? Why Now? You are here for a reason. You are interested in learning what’s possible. We will become your radio family. If you want to get your message out to the masses and want to do it right, we are here to help. With the potential to reach millions of listeners across the globe you want an award winning team behind you that knows how to do this and do it well. The Transformation Radio Network team is here for YOU. 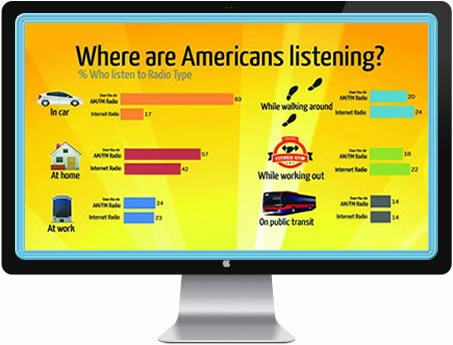 Moms multi-task and are setting new listening records! Raising a family isn’t easy. That’s why Moms are continuously in search of the latest products, recipes, health and beauty essentials, wellness needs and consumer goods that will make a positive impact on their day-to-day lives. 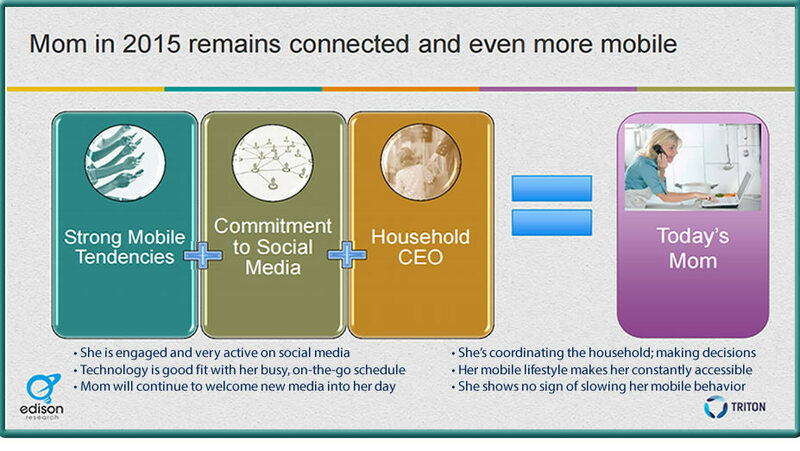 Mom in 2014 is connected and mobile. Join The Movement – Create A Better World! I’m In! Tell Me More!